Tyler was nervous about making the switch. But he was also burnt out from doing things the way he’d always done them. Far from being a rookie, Tyler Ford, a 20-year real estate investor and agent, speaks with a simultaneous confidence and humility reserved for those who’ve been in the business long enough to be intimately familiar with their strengths and weaknesses. With knowledge of reality comes the ability to change. With realistic knowledge of your current situation comes the ability to change your current situation. And if there’s one thing that Tyler Ford was ready to change, it was his current situation. At the beginning of 2017, after two decades of rehabbing, listing, selling, and buying real estate, Tyler Ford was ready to quit. When he left for vacation, pre-paying his trusted friend to rehab a home he’d bought, only to return and discover an un-fixed house and a missing associate, his spirits plummeted. If he couldn’t trust the person he’d always trusted, who could he possibly turn to? Maybe it’s time to try something else. Maybe it’s time to get a 9-5 job. Maybe I wasn’t cut out for this kind of work. These were the thoughts shoving their tentacles into Tyler’s mind. And they almost suffocated him completely – he was *this close* to quitting. But, in the end, he didn’t. In college, Tyler got his real estate license. Almost immediately, though, he dove head-first into rehabbing homes. 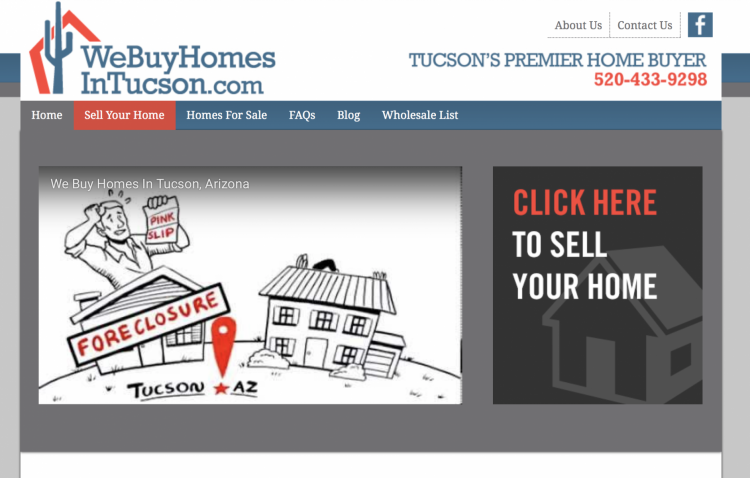 Finding success at flipping homes, for over 15 years, Tyler continued to buy, fix up, and sell homes for a profit. But something happened. His 9-year old website with past-SEO authority started falling due to competitors entering his market. The nightmarish stress of owning a fixer-upper and counting on a healthy market for when the home sells ate away at his soul every night as he lay in bed. And his love for real estate – and especially rehabbing – died. All at once, like a missile impact, Tyler Ford was finished. He discovered the genius behind SEO and conversion optimization. All at once, everything changed for Tyler Ford. In the beginning of 2017, he was $20,000 in the hole. At the beginning of this year, he net $90,000 on just two deals. In his words, this is Tyler’s end goal: freedom. Isn’t that why you got into real estate investing in the first place? Because you wanted to travel whenever and wherever you want? Because you don’t want to worry about the price on the ticket when you go out to eat with the family? Because you don’t want to concern yourself financially with unexpected but necessary medical bills? Said more simply, because you want to do what you want, when you want, where you want, and how you want. If that’s you, then you’d love to meet Tyler Ford. He’s not trying to build a massive business with hundreds of employees and he’s not trying to build some billion-dollar corporation. He’s trying to build a business that supports himself and his wife, passively. That is his end goal. In his own words, “I was so nervous.” He already claimed the #1 ranking for his target keyword phrase, but there was a bigger problem: his website wasn’t converting the organic traffic that his website was generating passively. And what good is website traffic if you’re not converting it? Yeah – no good. That blog post changed his life. Go read it to change yours. Tyler locked himself in a room for 2 months. Okay – not literally. But he did put his head down and work longer-than-usual days for 2 months in order to brand his website, customize it, and get everything ready for some serious lead generation and search engine optimization. Rather than simply publishing all of the blog content that his Carrot plan provided for him, he localized it. 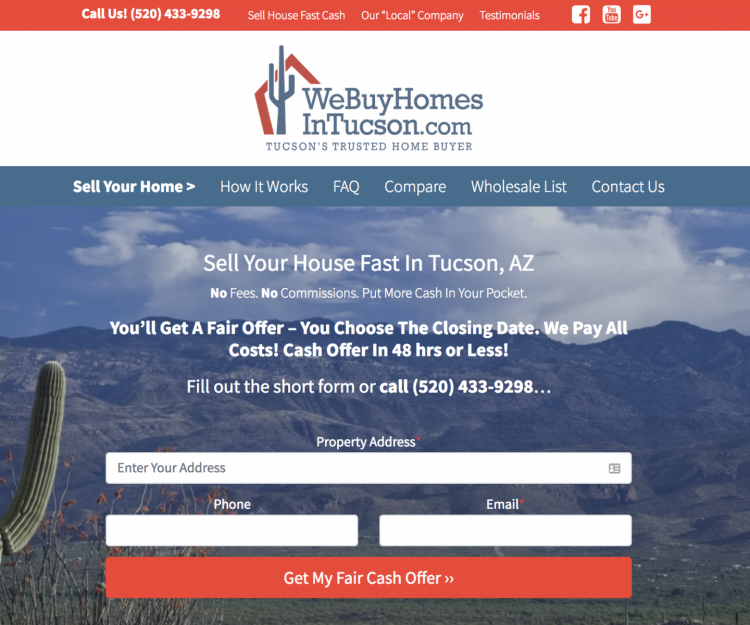 As an investor in Arizona, he removed pictures of houses in the mountains and replaced them with pictures of houses in valleys. He also localized advice, wording, and other elements so that anyone landing on his website would know immediately that they are in the right place. Tyler knew that he’d give up if he didn’t start with realistic expectations. That includes his SEO rankings, the amount of work he’d have to put in, and the amount of deals he’d be doing. Tyler was right when he said, “The problem most people have is that they get frustrated early and quit.” If there’s one reason that entrepreneurs fail to fulfill their ambitious dreams, it’s because they keep giving up too early, always starting at the beginning and never building the momentum that a healthy, living business requires. What is the “Why?” behind your business? Why do you want to make more money? Why do you want to build a real estate business? You don’t have to be a saint with your answer, but you do have to be honest. Maybe it’s because you want to travel more, give to charity, or own a Lamborghini. The trick is to choose a “Why?” that keeps you motivated when things get difficult. So choose something that gets you really pumped. Tyler’s “Why”? Freedom. Tyler Ford was ready to quit. Tyler Ford couldn’t sleep at night. Tyler Ford had lost his passion for real estate. Tyler Ford was working more and experiencing less financial and personal freedom. Tyler Ford just net $90,000 on two deals generated with his Carrot website. Tyler Ford has a clear path to his goals. (15 wholesale deals in 2018 with at least a $12,000 profit per deal). Tyler Ford still has position #1 with his website, but his website converts significantly better than his old website. Tyler Ford is finally working himself out of a job and heading toward his dream of living off of passive income. Tyler Ford is buying 1 in 25 leads in a highly competitive market. Tyler Ford is only spending a couple hundred dollars per deal. Want to know how long the shortest membership at Carrot lasted? That’s right. 2. Freaking. Minutes. Within 6 months of changing to Carrot, Tyler’s website was ranking and pulling in leads. Within 30 days, he made his first wholesale deal through Carrot. Still, it took patience and it took realistic expectations. Other people have started successful real estate businesses and so can you. It’s not a question of IF you’ll succeed, but WHEN. Keep working at it and you will succeed – it’s simply a matter of time. Don’t be like the 2-minuter quitter. Determine your game plan, commit to it, and move forward relentlessly, holding nothing back. Then nothing will be able to stop you from succeeding. This is what Tyler Ford did. And now, he’s having the best year of his real estate career. I know. You might be nervous about switching it up. You might be nervous about changing your strategy, getting a different website, or marketing yourself in a way you never have before. But, at Carrot, we specialize in helping people like you. If you’re a member already, then we hope that knowing how Tyler Ford is crushing his market helps you crush your own. If you’re not a member, then become one – we promise it’ll be the best thing you ever did for your business. Remember, if Tyler is doing it, so can you. The only question is, are you willing?